Around a few weeks ago, I wrote an article where I listed out the top six semi-affordable(under $100) premium-quality earbuds. After writing that article, I thought about writing complete reviews on all six earphones/headphones, and hence I wrote detailed reviews on all the earphones except one. And that remaining one is the Focal Sphear High-resolution in-ear headphone. 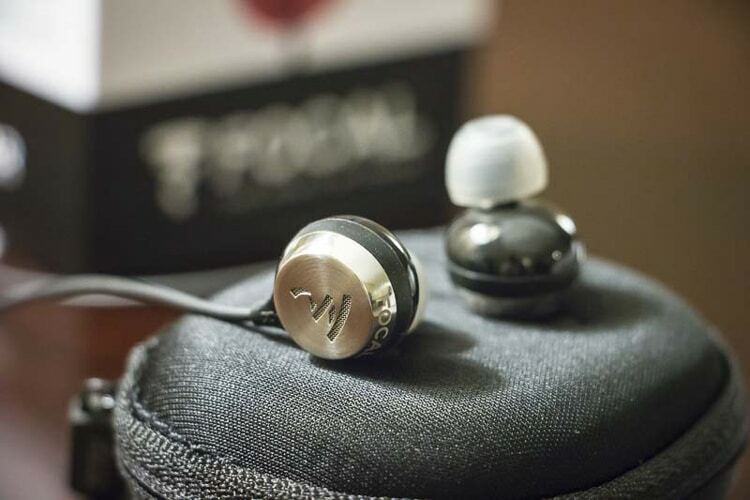 In this article (as you might have figured out), I will give a comprehensive review of the Focal’s Sphear in-ear headset and end with the answer to “Is it suitable for you (an audiophile)?”. So without further ado, let’s start. The box of Focal Sphear apparently include all the things packed as in 1More’s triple driver. But to be frank, I like the latter one better. That’s all one needs. Now let’s move on to the design part of the earphones. 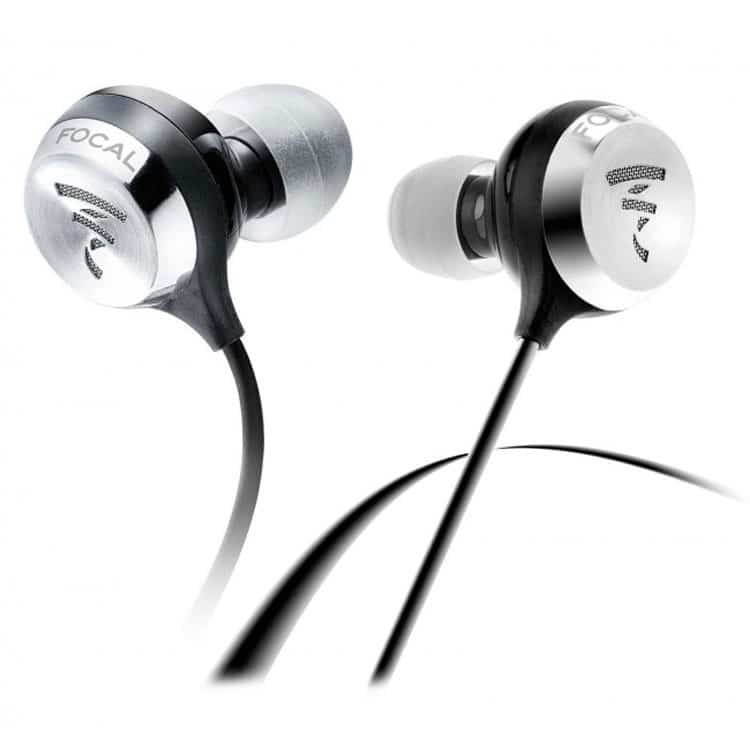 The Focal Sphear is the first in-ear earphone developed by the Focal, a France based company. 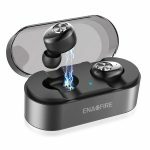 It took them around two years to develop their first in-ear headset, which obviously means they have given plenty of thought in the design part of their debutant. So, let’s check out what they have incurred. On the top, you will find stainless-steel-plated, sleek, and round designed shell which keeps the earbuds secure. Coming a bit towards the terminal side, on the left cord, you will see a mic at a perfect distance from the mouth which results in best call experience. At the Y-junction, you will get an in-line single-button remote. And at the end, the design terminates with an L-shaped 3.5mm plug. That’s an overview of the Focal’s ergonomic, robust, and reliable design. Now let’s move to the main part i.e. the features and performance. For starters, it’s a lightweight and a very comfortable earphone. The build quality is quite sturdy which makes it a long-lasting one. With the perfect earpiece (of the various ones found in the box), it fits excellent. 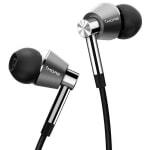 Additionally due to the premium-quality, one can listen using the earphone for a very long time without any fatigue. From the sound-quality perspective, it’s perfect. It is a good-bass as well as a treble-crisp headset which results in excellent highs, mids, and lows of the music. All in all, the Focal Sphear provides a rich sound quality. The single-button inline remote does everything the traditional three buttoned one does. Press it once to take/hang up a call, and you can also use it to Play/ Pause, to Skip forward press twice, and to Skip back press thrice. From a noise-canceling viewpoint, it’s not the best one out there. It cancels noise to a certain extent, but that feature doesn’t work perfectly during several circumstances. It is suitable for all devices with a 3.5mm plug. In short, it has everything one would expect from a semi-affordable premium headset. Now let’s split between what I liked and what I didn’t about the earphones. The harshness of low-quality music isn’t pleasing. Wrapping up, I would like to say that this pair is a perfectly good package for given budget. The set is ideal for any audiophile. 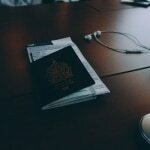 However, it depends on your requirements. So, I would suggest you read all the remaining reviews of the under $100 earphones on soundinout and then decide. Let me know in the comment section if you have any query about the earphone. If you are not sure about which one to buy then comment your requirements and I will reply with the perfect match. Until then, Goodbye!